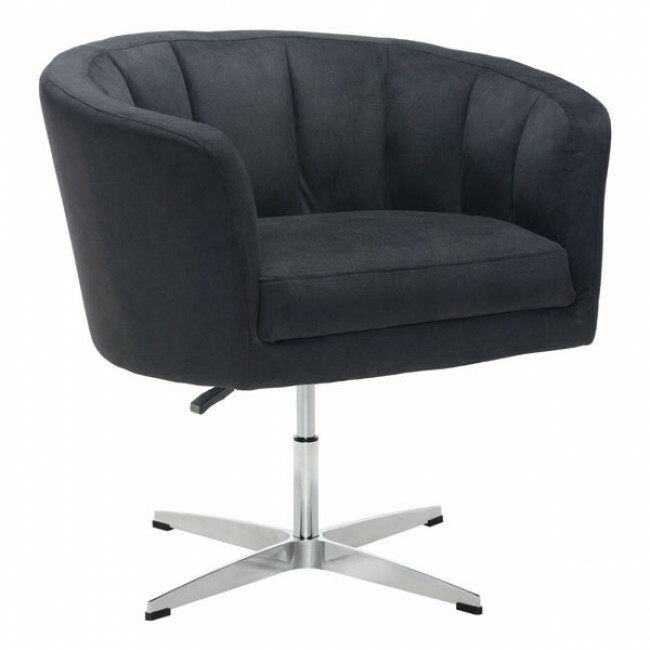 Most definitely modern, this swivel lounge chair with its channel tufting and curved back, is a must-have for any seating area in your home or office. 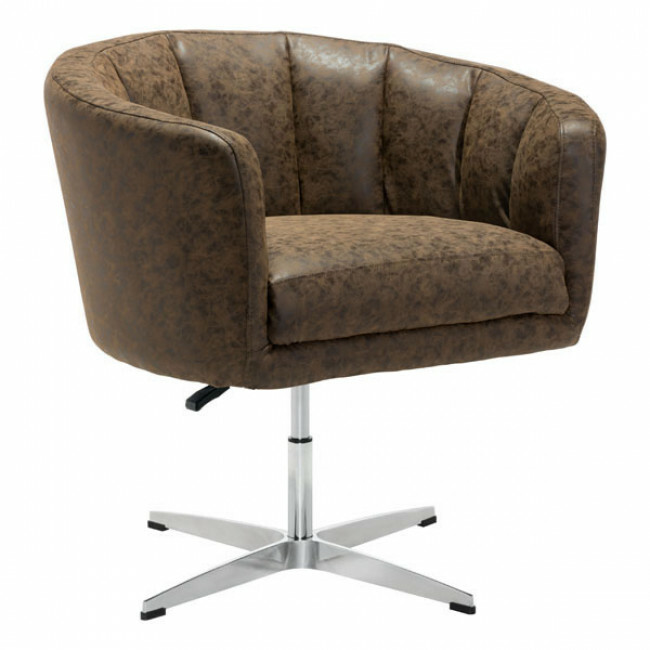 The distressed faux leather in rustic coffee brown beautifully contrasts its sleek aluminum base. The simple lever under the seat raises and lowers you to your desired height. 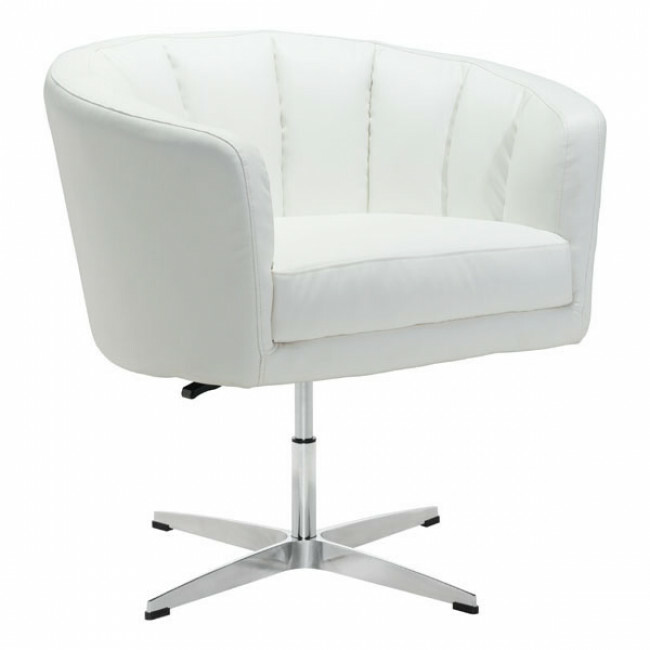 Also available in white faux leather or black lux fabric. W32.1" x D26" x H27.9"